The Permanency of Republics, is Secured by the Virtue, Intelligence and Patriotism of the People. Vol. ? No. ?. Painesville, Ohio, November 16? 1830. Whole No. ? About a couple of weeks since, three men, calling themselves Oliver Cowdry, David Whitmer, and Martin Harris, appeared in our village, laden with a new revelation, which they claim to be a codicil to the New Testament. They preached in the evening in the Methodist Chapel, and from certain indications, conceiving they might do more good otherwheres, departed for Kirtland, where is a "common stock family," under the charge of Elder Rigdon, a Campbellite leader of some notoriety. The men claim to act under a "commission written by the finger of God" -- they are very enthusiastic, tolerably resolute -- but from what we can learn need that steadfast determined resolution, and popular talent, which are necessary to ensure any considerable degree of success in a new project. The account which they give is substantially as follows: -- at a recent period an angel appeared to a poor, ignorant man residing in or near Palmyra, in Ontario County, in the state of New York, directed him to open the earth at a place designated, where he would find the new revelation engraved on plates of metal. In obedience to the celestial messenger, Smith repaired to the spot, and on opening the ground discovered an oblong stone box, tightly closed with cement. He opened the sacred depository and found enclosed a bundle of plates resembling gold, carefully united at one edge with three silver wires, so that they appeared [sic - opened?] like a book. The plates were about 7 inches long and 6 broad, and the whole pile was about 6 inches deep, each plate about the thickness of tin. -- They were engraved in a character unintelligible to the learned men of the United States, to many of whom it is said to have been presented. The angel afterwards appeared to the three individuals, and showed them the plates. To Smith it was given to transcribe the character[s], which he was enabled to do by looking through two semi-transparent stones, but as he was ignorant of writing, Cowdry and others wrote as Smith interpreted. They say that part of the plates escaped from them in a supernatural manner and are to be again revealed when the events of time shall require them. The three individuals above named, have subscribed their names to an article in the book, in which they solemnly declare that they saw the angel, and that he assured them that the book was a divine revelation. They say it was written by the prophets of God during the period embracing the time for 600 years before, and several hundred [years] after the Christian era. It predicts, we understand, almost all events which have come to pass, such as the American Revolution, &c.
These men are believed by their followers to be prophets -- and they say that the world is soon to come to an end, within 15 years at longest. By the world coming to an end, they only mean, that the incorrigible will be cut off by a variety of means, leaving only the true believers. They have now gone west for a country they know not where, west of the Mississippi, where they say is a holy spot, and there they are to establish a New Jerusalem, into which [they say] will be gathered all the natives who they say are descendants of Manesseh. They [say they] are led by a [sic - the?] Spririt, and will know the ground when they place their feet on it. Immediately after their arrival here, Elder Rigdon embraced the new doctrine and was baptised for the third time -- once as a regular Baptist, once as a Campbellite, and now as a disciple of the new revelation. He says he has hitherto, ignorantly preached heresy. His flock, we understand, have principally followed their shepherd, and for the second, and some for the third time, have gone down into the water. We are told that the [whole] number baptised into the new order, is rising to one hundred. Note 1: The exact date of the above article has not yet been determined. Probably it comes from Nov. 16 or Nov. 23, 1830. The text was primarily derived from an edited reprint, published in the Mar. 17, 1831 issue of the Le Roy Gazette. For texts that is probably closer to the original, see the Dec. 11, 1830 issue of the New York City Working Man's Advocate and the Maryland Hagerstown Mail of Feb. 4. 1831 (as reprinted from a January 1831 issue of the Ohio Zanesville Gazette. Editor William Perkins makes an obvious mistake when he reports only three Mormon missionaries passing through the area -- unless, perhaps the fourth member of their party was elsewhere engaged and did not visit Painesville at the time. However, even this explanation of events leaves the glaring error of the writer saying that "Martin Harris" was among this group of traveling Mormons. The writer probably wrote his report from a hurried investigation, forgot the name of one of the missionaries, and consulted a copy of the Book of Mormon to make the mistaken identification of "Martin Harris." The exact date of the missionaries' arrival in Painesville cannot be determined from this report. Editor Perkins merely says that they appeared there "About two weeks since." Evidently the missionaries' visit to Painesville occurred during the final week of October and the Geauga Gazette article appeared about the middle of November. Note 2: Sidney Rigdon's biographer, Richard Van Wagoner makes no mention of the missionaries' visit to Painesville in his 1994 book. On page 58 of his Rigdon biography, Van Wagoner merely says that "Cowdery and Pratt... called on the Rigdon household," having arrived in the vicinity, "near Rigdon's Mentor home, on Thursday, 28 October." Henry Harrison Clapp, an eye-witness to some of these events, said in 1879, that "The four Mormons came to Mr. Rigdon's Wednesday evening (I think). Then Thursday morning he came to my father's with the wonderous announcement [of the Mormon revelation]... 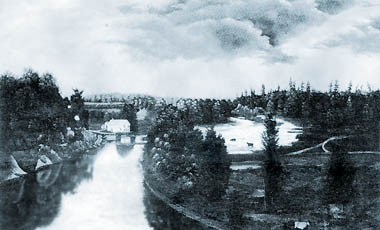 Some of the Mormon emissaries went to Kirtland, two or three miles distant that day (Thursday) and directly baptized the common stock family at Morely's who were members of Rigdon's church." Eber D. Howe's Painesville Telegraph described the scene thusly in his issue of Tues., Nov. 16, 1830: "About two weeks since some persons came along here with the book, one of whom pretends to have seen Angels... The name of the person here, who pretends to have a divine mission, and to have seen and conversed with Angels, is Cowdray [sic]..." Although Howe does not say exactly when it was that "some persons" visited Painesville with the Mormon revelation, his version of the story would allow for three or four of the company to have initially visited Painesville, during the last days of Oct. 1830, and to have then proceeded on to Rigdon's home in Mentor in short order. Nor does Howe's re-telling of this story on pages 100-103 of his 1834 Mormonism Unvailed add any significantly different details. In any case, both Howe and Perkins agree in saying that Oliver Cowdery visited Painesville. One possible explanation of the story is that only Cowdery and Pratt preached Mormonism in Painesville, and that was on Thursday Oct. 28th. While they were thus engaged in proselytizing, their other two companions (Peter Whitmer an Ziba Peterson) may have bypassed Mentor and gone directly to Kirtland. If Cowdery and Pratt departed Painesville on the early evening of the 28th, they could have arrived in Mentor before the Rigdon family retired for the night. Whitmer and Peterson, walking a longer distance, but starting earlier, may have arrived at the Morley farm in Kirtland in time for dinner. Note 3: The above text was also paraphrased in an article published in the Dec. 4, 1830 issue of the Wooster, Ohio Republican Advocate, which, in turn, was reprinted in the Ohio Star. The text in the Republican Advocate was supplemented by that paper's editor, who may have added some details from independent reports or personal knowledge of these events. Significant additions from the Republican Advocate are listed below. A.: The editor rearranges the paragraphs of this report, summarizing the second one first and relying heavily on the 1829 Palmyra Freeman article for his language. Probably he derived this from its shortened reprint in the Sept. 22, 1829 issue of Howe's Painesville Telegraph. B.: In his second paragraph the Wooster editor summarizes the first part of William Perkins' report, adding that it was "in the evening" that they preached in the Painesville Methodist Chapel. Without saying whether or not the Mormons spent the night in Painesville, the editor says that they "proceeded to Kirtland" and were joined there by "elder Rigdon, formerly a baptist." Adding information missing from the original report, the Wooster editor says that Rigdon and "several of his congregation" were then "baptized." Possibly this latter material was gleaned from the Nov. 18, 1830 issue of the Hudson Observer. C.: In his final paragraph the Wooster editor borrows some language from the Nov. 25, 1830 issue of the Cleveland Herald to describe the Book of Mormon as "one of the veriest impositions of the present day." Note 4: In a reprint of the article which appeared in an early December issue of the Philadelphia U. S. Gazette, under the title, "Lo! There," the following editorial remarks were added: "We mentioned nearly a year since, the appearance of a perosn in the upper part of New York State, who was preaching a new religion, founded upon a new bible given to him by an angel. The revelation then was engraven on metal plates. We thought that the matter would rest with the simple souls with whom it began, but we find the new doctrine is gaining many believers; societies have been formed, and leaders established. We have not heard that any candidate for president has been nominated... --- When we read of such delusions, or follies in times past we mourn over the ignorance and credulity of days when the march of science was slow and brief; but these are the productions of our own times, the vagaries of the 19th century. Let us, when we regard them and others that characterize the age, learn a little humility for ourselves, and exercise charity for our predecessors." Vol. III. No. ? Painesville, Ohio, Tuesday, February 1, 1831. Whole No. 118. THE GOLDEN BIBLE, OR THE BOOK OF MORMON. The believers in the sacred authenticity of this miserable production, are known by the name of "Mormonites," and their book is commonly called "the book of Mormon." It is asserted by them that their number in this vicinity is four hundred. In a conversation a few days since with a gentleman from Kirtland, well informed, and every way concerned to give us the truth, we [were] assured that their numbers in the family in that town were two hundred souls. We doubt not then, that their whole number in this county and Cayahoga are [sic] at least four hundred. They have recently received an additional revelation from the prolific prophet, Smith, which is generally understood to say that Kirtland is within the precincts of the holy land; but by others is said to mean only that in that town will be a great gathering of mighty multitudes, preparatory to their westward general migration. They are therefore admonished to sell no more of their possessions, but rather purchase, lest there shall not be room for the faithful. The admonition, however, arrived too late, as they have but fifty acres left, and the land holders refuse to sell to them. They profess to receive sensible demonstrations of the presence of the Deity. A few days since, a young man gave information to some of his brethren that he was about to receive a message from heaven. They repaired to the spot designated, and there, as they solemnly assert, a letter descended from the skies, and fell into the hands of the young man. -- The purport was to strengthen his faith and inform him that he would soon be called to the ministry. They declare their solemn belief that this letter was written in heaven by the finger of God. The style of writing was the round Italian, and the letters of gold. The favored youth immediately attempted to copy the communication, but as fast as he wrote, the letters of the original disappeared, until it entirely vanished. It is alleged that some of them have received white stones promised in the second chapter of the Revelations. Such of them as have "the spirit" will declare that they see a white stone moving about the upper part of the room, and will jump and spring for it, until one more fortunate than the others catches it, but he alone can see it. Others however, profess to hear it roll across the floor. These two stories, and others of a similar character, are told by them with solemn asseverations of their truth. Among them is a man of color, a chief man, who is sometimes seized with strange vagaries and odd conceits. The other day he is said to have jumped twenty-five feet down a wash bank into a tree top without injury. He sometimes fancies he can fly. In Chardon, one man has torn away all the partitions of the lower part of a good two story dwelling house. Here a large number live together. The food, consisting of meat and vegetables, it is said, are [sic] placed on the table in a large pan, which is the whole table furniture. From this every inmate takes a piece of meat and potatoe in his hand, and devours them as he walks about the room. As to matters of apparel, and indeed other things, where any one wants what he has not, he takes it any where in the family where he can find it unoccupied. All things are common. Note: The above report was reprinted in the Pittsburgh Statesman of March 9th, and in the Hartford Connecticut Courant on about the same date. The Woodstock American Whig of March 14, 1831 offered a slightly edited version of the text. All three sources were consulted in reconstructing the now lost Gazette original. The Campbellites later boasted of driving out the small Mormon congregation at Chardon. The "family" members there evidently moved to Kirtland at an early date. Vol. III. No. ? Painesville, Ohio, Tuesday, March 15, 1831. Whole No. 124. Note 1: The first item above, is taken from its reprint in the Mar. 24, 1831 issue of the Ravenna Ohio Star. To that reprint, the Star's Editor, L. L. Rice, appended the remark: "The above is from the Gazette of last week." According to Dan Vogel's 1989 article, "Mormonism's 'Anti-Masonick Bible," the Gazette of March 15th also included a "declaration" from Martin Harris, saying that the Book of Mormon was "the Anti-masonick Bible, and that all who do not believe in it will be damned." Vogel provides no additional text for Harris' supposed remark; it parallels, however, an alleged Harris quote in the Mar. 15th issue of the Painesville Telegraph: "[Harris said ] "that all who believed the new bible would see Christ within fifteen years, and all who did not would absolutely be destroyed and dam'd." Note 2: In his 2002 Dialogue article, "Martin Harris: The Kirtland Years...," H. Michael Marquardt dates the arrival of Martin Harris in Kirtland, to "Saturday, 12 March 1831," and cites the Geauga Gazette of March 15th as the source for that information. Marquardt adds: "About 9 March 1831, Harris left Palmyra for Kirtland." However, even if he traveled by canal boat and lake steamer, it seems unlikely that Martin Harris could have traveled from Palmyra to Painesville in 3 days. Ice, snow and winter cold would have hindered his speedy progress. Note 3: The exact date of the final item is uncertain. The description of the Devil probably saw print in the Gazette of March 15th. The text is taken from reprints which appeared in the Cambridge, Ohio Guernsey Times of Apr. 16, 1831 and in the Marietta, Ohio American Friend of Apr. 30, 1830. Working backward from the probable March 15th publication date, Martin Harris would have arrived in northern Ohio on Saturday, March 12, 1830. This timing agrees with Marquardt's calculations and with the remark offered in the March 15th issue of the Telegraph: "Martin Harris, another chief of the Mormon impostors, arrived here last Saturday." Note 4: Harris' trip to Ohio was "strictly business." He traveled there to supply copies of the Book of Mormon for sale in a burgeoning new market, and he exited town soon after making the potentially lucrative delivery. According to Marquardt's 2002 article, "A short time later, Harris traveled back to Palmyra and sold his farm..." Dan Vogel dates the Palmyra farm sale agreement to "1 April 1831" (EMD III p. 474). Thus, it appears that Harris was already preparing to leave on his return trip to Palmyra, by the time his description of the Devil appeared in the Painesville newspaper. Vol. III. No. ? Painesville, Ohio, Tuesday, April 19, 1831. Whole No. 130. Vol. III. No. ? Painesville, Ohio, Tuesday, May 17?, 1831. Whole No. 134. Infatuation. -- Almost every week brings new reports of the fatal infatuation of the Mormonites. It will be recollected that when they made their appearance here, they declared themselves immortal. Death, however, has paid them no respect, other than by frequent visits. In defiance of repeated instances of mortality they [still] profess the power of healing, refuse to call medical assistance, and many fall the miserable victims of their faith. The latest reports are, that a few days since, the wife of a Mr. Mardock [sic - Murdock? ], daughter of Judge Clapp, of Mentor, and a believer in Mormonism, died among them in child bed for want of professional assistance. The wife of the prophet Smith hardly escaped the same fate; she was in labor three days, during which time they tried their spells in vain, at last they called an accoucheur, and she was delivered of the dead bodies of two fine boys. The mother barely survived. Fresh Arrival. -- Within the last week there have arrived from the state of New-York, some by the lake and others by land, at least 200 Mormonites. They brought with them their household furniture entire, [bag] and [baggage], and roots, and herbs and plants ready for the soil. They passed on to the "holy land," and we understand are scattered about in the common stock families. We are told that the wife of the prophet Harris refused to be a Mormonite, and he has left her among "the Gentiles." She it was who purloined several pages of the first revelation, and which by the direction of the Angel have never been supplied. Another fellow had left his wife and children, and openly declared they never should live with him until they embrace the new faith. Every breeze wafts to us some new rumour from this prolific source of fanatics [sic - fantasies? ], some of which proved true and some false. Fame now whispers in sly and obscure hints, something about a miraculous conception, from which we conclude the Mormon public mind is being prepared for the nativity of some wonderful personage. Note 1: These two articles were evidently published in the May 17th (or possibly May 24th) issue of the Geauga Gazette. The text is taken primarily from a reprint which appeared in the June 4, 1831 issue of the New York City Working Man's Advocate. -- The New York Mormons mentioned by the writer arrived at Fairport, on a steamer from Buffalo, about May 13-14, 1831. This would correspond to "within the last week" for a writer preparing the article for the May 17th number. Catherine Smith Salisbury provided her recollection of the lake voyage in the July 3, 1886 issue of the Saints' Herald. Note 2: Julia Clapp Murdock died on April 30, 1831 at Warrenville, Ohio, while giving birth to twins: Julia and Joseph Murdock. At practically the same time, in Kirtland, Emma Hale Smith lost her two newly born twins, perhaps due to lack of proper medical care. A few days later the convalescing Emma took the Murdock infants into her keeping; the boy died young but the girl, Julia, grew up in the Smith family and did not realize she was adopted until past her childhood. The passing of Julia Clapp Murdock must have been doubly difficult for the anti-Mormon "Judge" Orris Clapp -- not only did he lose a daughter to death but a granddaughter to his enemy, Joseph Smith, Jr. One of Judge Clapp's sons married the sister of the Disciples of Christ founder/leader, Alexander Campbell, putting Rev. Campbell in the uncomfortable position of being a shirt-tail in-law of "Joe Smith," whom Campbell despised. Note 3: Joseph Smith, Jr. apparently learned something personally "revelatory" from his wife Emma's near brush with death in 1831. The following year, when Emma give birth to Joseph Smith III, on Nov. 6, 1832, the Mormon leader disobeyed his own religious tenets and called in the Gentile physician, Dr. George W. Card of Willoughby, to attend to the delivery. Note 4: The "miraculous conception" referred to so obliquely by Editor Perkins, was almost certainly the unexpected/unexplained pregnancy of Miss Catherine (or Katherine) Smith, a daughter of Joseph, Sr. and Lucy Mack Smith. Catherine married William Jenkins Salisbury at Fayette, New York, on Jan. 8, 1831, with the visiting Rev. Sidney Rigdon probably attending the ceremony. In fact, Catherine's nephew, Joseph Smith III claimed that Rev. Rigdon was the officiating minister: "Sidney Rigdon was not known to the Smith family, until he came to [sic - from?] Kirtland; that soon after his coming he performed the ceremony of marriage for Mr. Jenkins Salisbury and herself." Catherine's first child of record was Elizabeth Salisbury, born on Apr. 12, 1832, in Ohio. The matter of this lady's previous experience with conception has long been considered a subject too delicate for polite discussion among students of early Mormon history -- Dan Vogel, in his Early Mormon Documents series, dismisses the rumors as being unfounded, despite the fact that Palmyra residents recalled hearing that the Smith house was a "perfect brothel," that Catherine's reputation for virtue was poor, that she was impregnated by Sidney Rigdon, and that she was delivered of a stillborn infant just prior to her arrival at Kirtland. Accusations that Sidney Rigdon was a hopeful father, in connection with one of the young Smith girls, were made openly during the early years of the Mormon experience. See the May 26, 1831 issue of the Ravenna, Ohio Western Courier for more on these anticipated "miraculous births" among the Ohio Mormonites. Clark Braden refers to this maternal infamy in these words: "One of Joe's unmarried sisters proving to be enciente, it was declared to be an immaculate conception, and a new Messiah would be given to the world." Pomeroy Tucker is more direct in his accusations: "[In 1830, Martin] Harris ... spoke unreservedly of an 'immaculate conception in our day and generation.' The ample shrewdness of the prophet had probably been called in requisition to allay some unfavorable surmises on the part of his observing disciple... Rigdon had been an occasional sojourner at Smith's for a year or more... The upshot of the story is, that soon after the family started for Ohio, the miracle eventuated somewhere on the route, in the birth of a lifeless female child!" Vol. III. No. ? Painesville, Ohio, Tuesday, June 21, 1831. Whole No. 139. THE MORMONITES. -- This infatuated people are again in motion. In their own cant phrase "they are going to inherit the promise of God to Abraham and his seed." Their destination is some indefinite spot on the Missouri River, they say about 1500 miles distant. About 30 of them have recently been ordained and some have gone, others are about going, two and two, part by the western rivers and part by land to their distant retreat, far away from the cheering voice of civilized man. Those who have disposed of their property go now, and such as have property, are making market for it so eagerly as often to disregard pecuniary interests, and all are to follow with all convenient dispatch. They still persist in their power to work miracles. They say they have often seen them done -- the sick are healed -- the lame walk -- devils are cast out; -- and these assertions are made by men heretofore considered rational men, and men of truth. Man is a strange animal -- and the lesson before us ought to teach us humility for ourselves and forbearance towards the opinions of others: for though we are still of opinion that the leaders of this faction are as gross impostors as was Jemima Wilkinson, yet we have no doubt the great body of their followers are sincere and honest. Vol. III. No. ? Painesville, Ohio, Tuesday, July 26, 1831. Whole No. 144. In an extract from the 65th page of the Mormon Bible our publication has it, "they have remained forever" the manuscript is "they would have remained forever." In the passage mentioning a conversation with a lady, the period should be after the word "lady." The phrase "enabling them to work a miracle on me" should read "challenging them," &c. -- "But you inquire the cause," should read "but you injure, &c."
Vol. III. No. ? Painesville, Ohio, Tuesday, August 30, 1831. Whole No. 149. Conversion to Mormonism. -- The Oneida Register says that W. W. Phelps, late editor of the Ontario Phoenix, an anti-masonic paper, has embraced the Mormon faith, and has been ordained an elder and commissioned to preach. N. S. Vol. I. No. 23. Painesville, Ohio, Tuesday, April 17, 1832. Whole 182. TRIUMPHS OF THE MORMON FAITH. -- Several verbal statements agree in establishing the following facts. 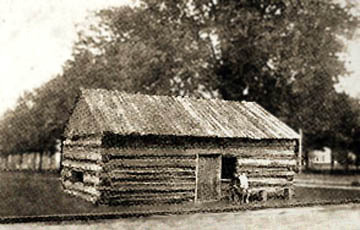 That on Saturday night, March 24, a number of persons, some say 25 or 30, disguised with coloured faces, entered the rooms in Hiram, where the two Mormonite leaders, Smith and Rigdon were sleeping, and took them, together with the pillows on which they slept, carried them a short distance and after besmearing their bodies with tar, applied the contents of the pillows to the same. Now Mr. Editor, I call this a base transaction, an unlawful act, a work of darkness, a diabolical trick. But bad as it is, it proves one important truth which every wise man knew before, that is, that Satan has more power than the pretended prophets of Mormon. It is said that they (Smith and Rigdon) had declared, in anticipation of such an event, that it could not be done -- that God would not suffer it; that those who should attempt it, would be miraculously smitten on the spot, and many such like things, which the event proves to be false. N. S. Vol. I. No. 25. Painesville, Ohio, Tuesday, May 1, 1832. Whole 184. The Mormonites have found a resting place in Independence, Jackson County, Missouri, whence we have received the prospectus of a newspaper from W. W. Phelps, formerly of the Ontario Phoenix. We make a few extracts for the singularity of the thing. "As the forerunner of the night of the end, and the messenger of the day of redemption, the Star will borrow its light from the sacred sources, and be devoted to the Revelations of God as made known to his servants by the Holy Ghost, at sundry times since the creation of man, but more especially in these last days, for the restoration of the house of Israel. The Book of Mormon, having already gone to world, being the fullness of the gospel to the Gentiles according to the promises of old, we know that the blessing of Joseph is near at hand. For his glory, the firstling of his bullock, and his horns the horns of unicorns; with them he shall push the people together from the ends of the earth, to the place of the name of the Lord of Hosts, the mount of Zion. For in this mountain shall the Lord of hosts make unto all people a feast of fat things, a feast of wines on the lees, of fat things full of marrow, of wines on the lees well refined. And he will destroy in this mountain the face of the covering cast over all people, and the veil that is spread over all nations: wherefore it is now made known and published to the world, by the authority of the beloved Saviour, that the gathering of the house of Israel hath commenced upon the land of Zion, and that the church which is called the church of Christ, as an Ensign to all nations, that the children of God are returning from their long dispersion, to possess the land of their inheritance, and reign with Christ a thousand years while Satan is bound. We know there are many lying spirits abroad in the earth, to withstand the truth and deceive the people, but he cannot be called a disciple of the humble Jesus, who doth not know the language of God from the language of man." In the next following paragraph, in brackets, the extravagance of the author bursts out. The Evening and Morning Star, besides the secret of the Lord, which is now with them that fear him, and the everlasting gospel, which must go to all nations, before the Holy One shall stand upon the Mount of Olivet, and upon the mighty ocean, even the great deep, and upon the Islands of the sea, and upon the land of Zion, to destroy the wicked with the brightness of his coming -- will also contain whatever of truth or information that can benefit the children of God temporally or spiritually in these last days, whether in prose or poetry, without interfering with politics, broils, or the gainsayings of the world. While some may say this paper is opposed to all combinations under whatsoever plausible, others will know, that it is for an eternal union whose maker and supporter is God. Thus all may be as they are, inasmuch as they that plow iniquity, and sow wickedness. must reap the same -- but wisdom is justified of her children. ==> From this press also, may be expected as soon as wisdom directs, many sacred records, which have slept for ages. ==> Terms.-- The Star will be issued monthly on a royal sheet quarto, at one $1 a year, till it shall be deemed proper to publish it oftener. (A supplement will be published weekly, if required, containing the advertisements of Jackson county, &c.) Letters to the editor must be paid -- and subscriptions, in specie or United States Bills." N. S. Vol. III. No. 4. Chardon, Geauga Co., Ohio, Sat., August 17, 1833. Whole 251. One of the preachers of this strange sect returned a few days ago from their head quarters in Jackson county, Missouri, and reports that a great riot took place there immediately before his leaving, in which the inhabitants of that neighborhood attacked the Mormonites, endeavoring to make some of their leaders recant their faith -- refusing to do this, the people tarred and feathered them. In consequence of this outrage, he fled, and came to Kirtland Flats, about seven miles from this village. At Kirtland, the Mormonites first established themselves, and proclaimed it the Holy Land. Afterwards, their arch-leaders, Joe Smith and Sidney Rigdon, located the Holy Land in the far-off West; and started the greater part of their followers, then congregated at Kirtland with their families, into Missouri, -- the promised land, -- where they formed quite a settlement, and established a press: -- but being unwilling entirely to give up their first location, a considerable number remained at Kirtland, forming a nucleus, around which they could collect more followers; and Smith and Rigdon, after planting their colony, have returned, and have spent a considerable proportion of their time in and about Kirtland. It is to be feared, that the course taken by the Jackson county people is not calculated to cure the Mormonites of their delusion, or prevent its affecting others. We, who live in their immediate neighborhood, have purposely avoided noticing them, knowing that such absurdities live and flourish by opposition. After their colony went to Missouri it was understood, they disagreed among themselves, and the society, without opposition, would have soon fallen to pieces, and resolved itself into the beggarly elements of which it was composed. At Kirtland, they have contemplated erecting a building of stone on a magnificent plan, to be called, after the one erected by King Solomon, "The Temple." Doubtless, this would have far exceeded the temple of Solomon in magnificence and splendor. The workmen, we have understood, were ready to commence operations, when it was deferred, and perhaps abandoned, owing to some misunderstanding, as we have been informed, in relation to its location, or the purchase of the ground on which it was to stand. The Cambridge (Ohio) Times says; "A small band of Mormonites passed through that place a few days since, on their way to the "New Jerusalem;" located somewhere in the state of Missouri. While here they encamped on the bank of Wills creek, in the rear of the town." The idle, foolish whim whams of this sect excite, and very properly, we suppose, the ridicule of the people generally. The only question is, do they, the Mormonites, believe their own doctrines. They make sacrifices to follow its requirements, they leave homes and kindred, and many of them wealth. -- These things denote sincerity, and plead in their behalf. Man has ever been, and perhaps ever will be, the sport of some delusion. -- U. S. Gaz. N. S. Vol. III. No. 5. Chardon, Geauga Co., Ohio, Sat., August 24, 1833. Whole 252. We mentioned in our last, that the Mormonites had discontinued building their "Temple," at Kirtland Flats. We understand that they have again resumed the work with renewed vigour. Note: Actually, the Kirtland Temple was built atop the hill overlooking Kirtland Flats, and not upon the flats proper. Prior to the building of the Temple, a Methodist meeting house had been constructed upon that same highland -- its cemetary yet remains there, a short distance from the Temple. N. S. Vol. III. No. 6. Chardon, Geauga Co., Ohio, Sat., August 31, 1833. Whole 253. Which address being read and considered was unanimously adopted. And thereupon it was resolved that a committee of twelve be appointed forthwith to wait on the Mormon leaders and see that the foregoing requisitions are strictly complied with by them; and upon their refusal that said committee do, as the organ of this county, inform that it is our unwavering purpose and fixed determination, after the fullest consideration of all the consequences and responsibilities under which we act, to use such means as shall insure their full and complete adoption, and that said committee, so far as may be within their power, report to this present meeting. And the following gentlemen were named as said committee: Robert Johnson, James Campbell, Col. Moses Wilson, Joel F. Chiles, Hon. Richard Fristoe, Abner F. Staples, Gar[y] Johnson, Lewis Franklin, Russel Hicks, Esq., Col. S. D. Lucas, Thomas Wilson, and James M. Hunter, to whom was added Col. R. Simpson, Chairman. The citizens again convened on the 23d day of July, 1833, which was composed of gentlemen from all parts of the county, and much more unanimously attended than the meeting on the 20th instant. Note: The above text was derived from the Missouri Republican of Aug. 9, 1833. The Chardon Spectator reprinted the same article (in slightly abbreviated format) from a mid-August issue of the Morning Courier & New York Enquirer. N. S. Vol. III. No. 20. Chardon, Geauga Co., Ohio, Sat., December 7, 1833. Whole 367. Mormons. -- We insert to-day, from the Missouri Republican, the letter of Orson Hyde, one of the Mormon preachers, giving an account of three attacks made upon the Mormons, by the people of Jackson county, Missouri; in which, according to his account, fire-arms and cannon were used, and about twenty-five lives lost. Hyde has returned to the Mormon head-quarters at Kirtland, about seven miles from this place. No doubt is entertained here that there has been fighting and bloodshed; but as Mr. Hyde fled, when, according to the language of his letter, "things were in a state of great commotion and agitation," probably his account partakes of the colour of his feelings at thee time. The principles of our government tolerate all kinds of religious opinions, and place them upon terms of perfect equality; -- but the people of Jackson county appear to have acted as though they thought the Mormonites not entitled even to a location in our land of liberty and equal rights; -- as though they were thrown out of the pale of the law, by the absurdity of their religious faith. We lament to say that the following account, in its most essential features, is confirmed by other passengers in the steam boat Charleston. ST. LOUIS, Nov. 9th, 1833. I take this opportunity to give you and your readers a brief sketch of the most flagrant and outrageous violation of the constitution of our country than has taken place since it was framed. I am a member of the church of Christ (reproachfully called Mormons or Mormonites) and am directly from Independence, the seat of war and bloodshed in the United States. On Thursday night, Oct. 31st, some forty or fifty of the citizens of Jackson county, Mo. assembled above the Blue, (a river about eight or ten miles west of Independence,) and, in part demolished twelve of the dwelling houses of our people who occupied them at the time. The inmates were obliged to escape to the woods, women and children running in every direction, halloing and screaming;-- and the men, being taken by surprise in the dead hour of the night, were unprepared to defend themselves if they had been disposed. They took two of our men and beat them with stones & clubs, leaving only a breath of life in them. After this the mob dispersed, it being about three o'clock in the morning. Friday night, Nov. 1, the mob broke open the store of Gilbert and Whitney, and scattered their goods through the streets. They demolished Gilbert's brick dwelling house, and broke in the doors and windows of all the dwellings in Independence belonging to our people. Saturday our people left their dwellings, and took their most valuable articles of furniture, clothing, &c., that they might be better prepared for self-defence. Night came on, and the mob came along with it, and commenced their ravages again above the Blue, and after they had fired five or six guns upon our people without effect, our people fired upon them, and one of their number exclaimed, "O my God! I am shot!" The mob then dispersed, taking their wounded companion along with them, who was shot through the thigh. On Monday last the mob collected again, in the town of Independence, to the number of two or three hundred, well armed; they called it "calling out the militia." They undoubtedly thought that the above appellation would sound better than its real and legitimate name, which is MOB, and if they could lessen the magnitude of their crime in the eyes of the community by so doing, -- they, no doubt, would be highly gratified. But this cunning plot to deceive, covers their iniquity no more than the fig leaves covered our first parents in the garden from the piercing eye of Jehovah. At night a part of the number that had collected in town, went above Blue, to drive our people away, and destroy our property; but they were met by a party of our people, and being prepared, they poured a deadly fire upon them. Two or three of their number fell dead on the ground, and a number mortally wounded. Among the former, was Hugh L. Breazeale, Attorney at Law. Tuesday morning, there was a number of the mob missing and could not be accounted for, I was told. I left Independence and came down the river to Liberty; landing where we stopped to take in freight; and while we were there, (Wednesday 11 o'clock, A. M.) a messenger rode up saying that he had just came from the seat of war, and that the night before, another battle was fought in which Mr. Hicks, Att'y at Law, fell, having three balls and some buck shot through his body; and about twenty more of the mob, shared a similar fate. Mr. H. was one of the heads of the mob. Report says also that one or two of our men were killed and as many wounded. The cannonading in the engagement was heard on board the boat very distinctly. I was an eye witness to a part of the above statements; but things were in a state of great confusion and agitation at the time, and should there be an error in the above, I hope to find pardon in the eyes of a candid people. One more item I will notice. -- At the time Messrs G. & W.'s store was broken open, Mr. G. with a number of others, succeeded in taking the one who first broke open the door, and brought him forthwith before a magistrate to see if something could not be done with him; but the magistrate refused to do anything about it. This was an unwise move of Mr. G.; but on seeing his property destroyed in that barbarous manner, and the agitation of mind which he was necessarily laboring under, he was led to do as he did. After they liberated the man, he took them with a warrant immediately for false imprisonment and put them in prison, viz. : Mr. Gilbert, Phelps the printer, and one more; and as near as I can learn the mob was determined never to let them escape from prison alive. I am one, who went to the Governor with a petition for assistance to obtain our rights, or redress of our wrongs and aggrievances received from the citizens of Jackson county, in July last. But as the circumstances then were, the Governor said he could do nothing, but advised us to take the regular steps of the law, which, at that time, was our only course, and this we attempted to do; but instead of peace being promoted by it, it increased their rage and led them to commit the horrid crimes named above. I am satisfied that it is useless to undertake to enforce the laws in that county under the present circumstances, because there is no one to enforce them. Every officer, civil and military, with one or two exceptions, is either directly or indirectly engaged in the mob. Under these painful circumstances, what remains to be done? Must we be driven from our homes? Must we leave the soil for which we have paid our money? -- Most our women and children be turned out of doors with nothing but the clouded canopy to cover them and the perpetration of the above crimes escape unpunished? Or must we fight our enemies three to one, or lie down and die and our names be blotted out from among men? Let the Executive of our State and nation consider these questions; and if they will answer them in the negative, let them signify it by raising the helping hand. Again, I ask in behalf of my brethren: Will not the Governor or President lend a helping hand in this deadly calamity? Shall the crisis of the innocent and distressed, salute the ears of the Executive in vain? God forbid! For while the constitution of the United States, which was given by the inspiration of Almighty God through the instrumentality of our fathers, shall stand, I trust that those who are honored with the Executive, will see that the laws are magnified and made honorable. -- Perhaps some of my friends, on reading this letter, will be ready to ask me what I think of my religion now: I have no reply, other than this: Paul said, "He that will live godly in Christ Jesus shall suffer persecution." I am, sirs, though a stranger, your friend and humble servant. N. S. Vol. III. No. 22. Chardon, Geauga Co., Ohio, Sat., December 21, 1833. Whole 369. The Mormonites. -- In the late outrageous attack upon the Mormonites, the St. Louis papers of the 15th November stated, that the houses and property were destroyed, and the elders of the Mormonites severely whipped; and that one Judge of the Court, and several other civil officers, who attempted to quell the riot, were imprisoned by mob, and that a fearful state of exasperation and disregard of law prevailed; but we are glad to learn, by the account which we publish below, that there is like to be an end put to the recurrence of such disgraceful outrages by the removal of the Mormons; and that the 25 or 30 men which were slain, agreeably to Mr. Hyde's account, bid fair to prove like Falstaff's "eleven men in buckram." -- The accounts have reduced the number of slain to one, and probably that one may "vanish into thin air, and like the baseless fabric of a vision leave not a wreck behind." From the St. Louis Times. For the honor of the State and respect to the laws, we are happy to state, there is an appearance of the closing of the disgraceful scenes, lately exhibited in Jackson county. The Mormons have given up, and are removing from the neighbourhood to which they were so obnoxious, to find homes and protection in more kindly climes. It is also said that they intend prosecuting such persons as they may be able to identify, who were the actual perpetrators of the wrongs done them. As is usual the accounts first published of the matter -- that contained in our paper of last week, was much exaggerated, but exact truth leaves the matter sufficiently bad. One account now is, that there were six persons killed, four Mormons and two of their opponents; another, that but one met with death, although many were severely injured. Probably the whole truth, and only the truth, will not be known until the transaction shall be investigated in the Courts of Justice. N. S. Vol. III. No. 23. Chardon, Geauga Co., Ohio, Sat., December 28, 1833. Whole 370. The following statement of the recent belligerent attitudes assumed by the people of Jackson county and the Mormonites, was handed to us by an individual who passed this place on board the steamboat Charleston. Although it was the statement of a Mormon, yet coming as it did, apparently authenticated by Captain Gunsoles and his clerk, we were at the time disposed to think it might be true. But it is certainly an exaggerated account. Since it was committed to the column, we have seen & conversed with Col. A. M'Lelland, of Jackson county, who was several days later from Independence. We know Col. M'L. to be a man of superlative honor. We have no hesitation in vouching for his assertions. He denies the demolishing of houses & otherwise maltreating the Mormons -- although he says the greatest excitement and exasperation prevailed. So much so that the citizens went armed. The Booneville Herald (from which paper the above is extracted) adds, from the relation of Col. M'L that the Mormonites had threatened the citizens; that a party of citizens going up towards the Mormon settlement were fired upon by the Mormons, when a sharp conflict ensued, in which 2 or 3 citizens were wounded and one citizen and three Mormons killed; that this was all the fighting which took place; that Hyde's account was grossly exaggerated; that Mr. Hicks had not been killed; but at the time was attending Court in La Fayette county; and that the Mormons had gone over the river, and all things were quiet. N. S. Vol. III. No. 24. Chardon, Geauga Co., Ohio, Sat., January 4, 1834. Whole 371. The Fayette (Mss.) Monitor of Nov. 22, contains a long article in explanation of the recent conflicts between the Mormons, and the citizens of Jackson county, The Mormons, about seventy in number, killed two and wounded several others of a party of seventeen citizens, who visited their settlement for the purpose of making some arrangement in relation to their covenant to leave the country. After the first fire, which was ineffectual, Mr. Brazeale ascended an eminence, and proclaimed peace -- with these words in his mouth, he was shot. The conflict then became general, and the citizens were driven off. Preparations were then made by both parties for an exterminating conflict which was averted by an order from the Lieut. Governor, which induced the Mormons to ground their arms and leave the county -- but they have subsequently demanded to be reinstated in their possessions at the "New Jerusalem." The Governor has ordered a portion of the militia to be in readiness to meet any emergency. The party in question was induced to visit the settlement by the proceedings of a mob, about two weeks before, which were very generally condemned by the citizens of Jackson county. The editor of the Monitor repels the accusation that the people of Jackson are inclined to turbulence. He explains the riotous proceedings which took place there about two years since, by saying that a large portion of the Seminary Lands were originally located in their county. They settled upon and improved them. When they were offered for sale, at a minimum of two dollars per acre, they confined a speculator and prevented him for possessing himself of the fruits of their labor. The whole matter was represented to the Legislature, and the Legislature confirmed the sale! Straightway came the Mormons. In their doctrine, they claimed as an inheritance the whole of Jackson county. By fraudulent and false statements, they were gathering together the scum of the earth -- were offering inducements to the free negroes, every where, to come up and join them. That the people should feel disposed to rid themselves of such a pest, we think is extremely natural; and it is doubtful whether they would have fared better in any other county. N. S. Vol. III. No. 26. Chardon, Geauga Co., Ohio, Sat., January 18, 1834. Whole 373. The Mormon mystery developed. -- Doct. T. Hurlburt, of Kirtland, O., who has been engaged for some time in different parts of this state, but chiefly in this neighborhood, on behalf of his fellow townsmen, in the pursuit of facts and information concerning the origin and design of the Book of Mormon, which to the surprise of all in this region who know the character of the leaders in the bungling imposition, seems already to have gained multitudes of believers in various parts of the country, requests us to say, that he has succeeded in accomplishing the object of his mission, and that an authentic history of the whole affair will shortly be given to the public. The original manuscript of the Book was written some thirty years since, by a respectable clergyman, now deceased, whose name we are not permitted to give. It was designed to be published as a romance, but the author died soon after it was written; and hence the plan failed. The pretended religious character of the work has been superadded by some more modern hand -- believed to be the notorious Rigdon. These particulars have been derived by Doct. Hurlburt from the widow of the author of the original manuscript. -- Wayne Sentinel. Note: By the time this reprinted article appeared in Ohio, D. P. Hurlbut had been arrested and brought before a magistrate in Painesville, for alleged threats upon the life of Joseph Smith, jr. It seems unlikely that Hurlbut, under the circumstances, appreciated the appearance locally of any additional publicity of his recent information gathering activities in the east. However, the anti-Mormon "Committee," who financed Hurlbut's 1833 research activities, still believed, as late as Jan. 31, 1834, that Hurlbut would turn over to them "a work which will prove the 'Book, of Mormon' to be a work of fiction and imagination, and written more than twenty years ago, in Salem, Ashtabula County, Ohio, by Solomon Spalding." As things turned out, Hurlbut handed over much less than this advertised conclusive evidence, to Eber D. Howe, at the beginning of February, 1834. N. S. Vol. III. No. 38. Chardon, Geauga Co., Ohio, Sat., April 12, 1834. Whole 385. Mormon Trial. -- Great interest was excited in the public mind, in this country, in relation to the complaint of Joseph Smith, jun., the great prophet, and originator of Mormonism, against Doctor P. Hurlburt, the exposer of the Mormon mystery. The complaint was made, before a justice of the peace, to bind Hurlburt to keep the peace towards the prophet. The justice ordered Hurlburt to enter into bonds to keep the peace, and to appear before the Court of Common Pleas. On Tuesday last, the case was heard before the court. The court-house was filled almost to suffocation, with an eager and curious crowd of spectators, to hear the Mormon trial, as it was called. A great number of witnesses attended, and were examined, chiefly members of the Mormon society, among whom was the renowned Prophet himself. It appeared that Hurlburt had been a disciple of Mormonism, and was ordained an elder by Joe himself, but for misconduct, as the Mormon witnesses alleged, was excommunicated. After this, he discovered that Joe was a false prophet, and the Book of Mormon a cheat: -- began lecturing against it, and examining and collecting proof that the story of the Book of Mormon was taken from a manuscript romance, written by one Spalding, who formerly lived at Conneaut and who died before publication. Many witnesses testified to threats of revenge from Hurlburt. One witness, who testified to the threats of Hurlburt, on cross-examination being asked the reason why she had not communicated these threats to Smith, answered that she did not believe Hurlburt, or any other human being, had the power to hurt the prophet; -- but Joe himself appears to have placed little reliance upon his divine invulnerability; -- for he testified that he became afraid of bodily injury from the defendant. The Court finally ordered Hurlburt to find security in the sum of Two Hundred Dollars, to keep the peace for the period of six months. Note: The above article is practically the only detailed contemporary report of D. P. Hurlbut's 1834 trial at the Chardon Courthouse. The Apr. 18, 1834 issue of the Ohio Repository printed a much shorter news item on the trial, and what the Mormons published on this subject was more like public gloating, than informative news reporting. N. S. Vol. III. No. 51. Chardon, Geauga Co., Ohio, Sat., July 12, 1834. Whole 398. A MORMON BATTLE. -- A letter received, by a gentleman in this neighbourhood, direct from Missouri, stating that a body of well armed Mormons, lead on by their great prophet, Joe Smith, lately attempted to cross the river into Jackson county. A party of the citizens of Jackson county opposed their crossing, and a battle ensued, in which, Joe Smith was wounded in the leg, and the Mormons obliged to retreat: that Joe Smith's limb was amputated, but he died three days after the operation. THE MORMONS. -- The latter day Saints, as they style themselves, seem to be determined by every means to come and take possession of their ZION, Jackson county. A company of 300 in number, well armed, crossed the Wabash river a few days ago. Another is coming through Michigan Ty., and a third one has taken another direction. It is reported that these Saints of the latter days are all well provided with guns and ammunition. --- St. Louis Paper, June 13. N. S. Vol. IV. No. 31. Chardon, Geauga Co., Ohio, Sat., February 21, 1835. Whole 430. We have been informed that the "Northern Times" has again made its appearance at Kirtland, in this county, and purports to be published by F. G. Williams & Co. and edited by O. Cowdery, one of the Mormon prophets: -- whether the "and Co." includes the whole Mormon Society or not, we have not been informed. N. S. Vol. IV. No. 32. Chardon, Geauga Co., Ohio, Sat., February 28, 1835. Whole 431. THE "NORTHERN TIMES." -- Since our last, we have received the first number of this publication, issued from the seat of Mormonism, and edited by O. Cowdery, one of the Mormon preachers, -- which, from the great length of the editor's address, we conclude he thought might be his last, and, therefore, he would say his whole say out. It evidently appears to have been written as much as six months ago, probably about the time of the two little black half sheets, under the same title, were sent out just before our late election. Six columns are occupied by a most valiant attack upon that dead monster, the United States Bank, in which the editor has proved himself as valorous as Falstaff, when he thrust his sword through the dead Percy; and, if making the English language unintelligible be any evidence of it, that he can write in unknown tongues. Having thus "thrice slew the slain," in the course of the six columns, -- he then particularly addresses his Painesville friends, who were willing to avail themselves of the "Northern Times," last fall, and says they will expect something upon the subject of the removal of the county seat. -- He then expresses such zeal to effect this object, which, he says, "is characterized with so much justice;" and says to his allies in the good work, "now is the time! let us persevere, &c." So much for the editorial address; for we believe those two form the only topics of it. His selections, for ought we know, may have been dug up with the golden plates, -- and, perhaps, preserved in that strange vessel, the second ark, which is mentioned in the Book of Mormon, the "bottom (whereof) was as tight as a dish, and the sides thereof were as tight as a dish, and the ends thereof were as tight as a dish, the top thereof was as tight as a dish." N. S. Vol. V. No. 18. Chardon, Geauga Co., Ohio, Sat., October 30, 1835. Whole ? The Court of Common Pleas still continues in session. A considerable amount of business has been disposed of; generally such as is not of an interesting character, but such as nevertheless demands the attention of the Court. The cause of Pratt vs. Newell, for an assault, however, excited some interest. Pratt is a Mormon Preacher, and had determined to preach to the people of Mentor, whether they wished it or not. Having been warned not to do so, and refused admittance into their meeting-house, he mounted the steps of the same, and began to hold forth from the Book of Mormon. The defendant acted as captain of a company, who, with drama, fifes, trumpets, &c., marched back and forth before the stand chosen by the preacher, and saluted him with music and [bows]; some, in the rear of the company, also pelted him with eggs until he was well besmeared; -- to recover damages for which, the suit was brought. It was proved that defendant issued orders to march, and halt, and keep time, but gave no orders to fire. The jury, however, came to the conclusion, that, holding them under military command, he was responsible for their acts, and returned a verdict against him for forty-seven dollars damages. SIDNEY RIGDON, notorious as one of the Mormon leaders, was indicted for solemnizing marriages without license, and tried at the present term of the Court of Common Pleas for this county. The performance of the marriage ceremony by Rigdon having been proven, on the part of the prosecution, Rigdon produced a license of the Court, which had been granted to him several years ago, as a minister of the gospel of that sect usually called Campbellites, but who call themselves disciples, to continue so long as he remained a minister in regular standing in that denomination. The prosecution then undertook to prove by proof that he had abandoned that church, and joined the Mormons, and held principles inconsistent with his former faith. It appeared that the society of disciples kept written minutes of their proceedings, and no church record of his dismissal being offered, the Court rejected the testimony, and a nolle prosequi was entered. Note: For more on the "egging" of Parley P. Pratt, see his 1835 tract: A Short Account of a Shameful Outrage.